This addon lets you display adverts in the top-left area. Choose a seperate color for each advert out of a big color palette. 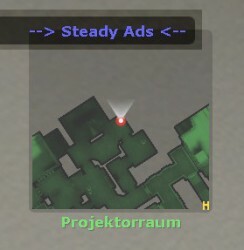 Adverts can even be added through the console as well as deleted.